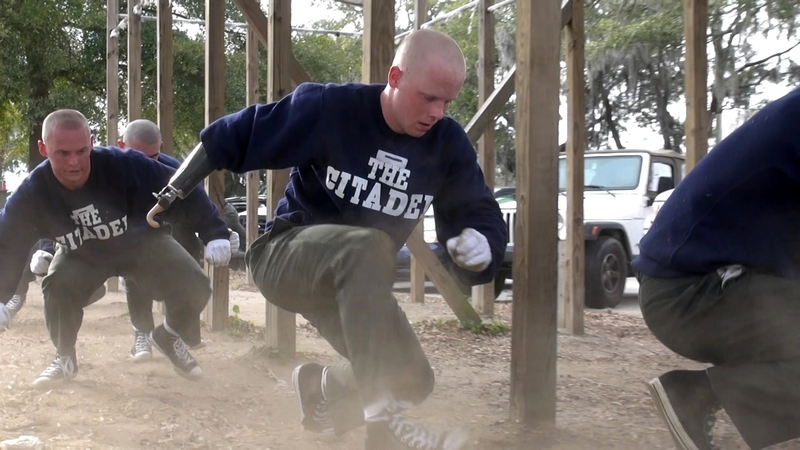 Greenville, S.C., March 8, 2016 – After a summer 2014 workplace accident resulted in the loss of his right arm, Greenville resident Cameron Massengale, who was a rising sophomore at military college The Citadel, was determined not to give up on his dream of being a Citadel cadet. Now, with the help of custom-designed prosthetic technology, including the bebionic hand, Massengale is back at The Citadel and recently made history by becoming the first amputee to earn the title of Summerall Guard, one of the highest honors that can be achieved by a cadet. About the bebionic: The bebionic is a microprocessor-controlled prosthetic hand that features five individually-moving fingers and customized grip patterns allowing Cameron to perform everyday activities such as classwork and tasks he encounters in his normal college life. More information on the bebionic hand is available here: http://www.hangerclinic.com/limb-loss/adult-upper-extremity/adv-tech/Pages/bebionic-Hand.aspx. About Massengale: In 2014, Greenville resident and Citadel cadet Cameron Massengale was involved in a work accident at a local butcher shop that resulted in the loss of his right arm and threatened his life. He was hospitalized for several weeks, but recovered with the support of his parents, twin sister Chandler, friends, and family. After taking a semester off from The Citadel, Cameron re-entered the school as a second-semester sophomore. This winter, Cameron began the process of trying out to become part of the prestigious Summerall Guards. Through hard work and determination, with the help of an arm custom-designed by his Hanger Clinic Prosthetist to be adapted for advanced rifle drills, Cameron was selected to be part of the Class of 2017 Summerall Guards. Cameron is majoring in political science and hopes to one day work with other amputees to meet and exceed their life goals. About Hanger Clinic: Founded in 1861 by the first amputee of the Civil War, Hanger Clinic, a business unit of Hanger, Inc., owns and operates 750+ patient care clinics nationwide, including 15 in South Carolina. The certified clinicians of Hanger provide patients with the latest in orthotic and prosthetic solutions, including microprocessor devices for those with limb loss and neuromuscular technologies for those with paralysis due to stroke, MS and other debilitating conditions. For more information on Hanger, visit www.Hanger.com, and for more information on Hanger Clinic, visit www.HangerClinic.com.